Going back in time, looking at old photographs, postcards and letters is something I have always loved doing. And now I find myself going back and reading some of my first posts on this blog. Even though they are still quite new, I still find it amazing to be able to go back and reencounter my thoughts and findings from this summer. With all the information that flows past us in this age of information, it really is amazing to have a place to keep track of a small small fraction of all the thoughts and findings. My reason for going back in time today was that reading this interesting article “More than a blog” about blogging and sciences made me think of my first posts on this blog about science blogs and peer-reviewed journals and the historical relation between journalism and science communication. The article “More than a blog” published in EMBO reports gives some interesting perspectives on the role of blogs in science communication. I’d recommend it to people interested in science blogging. It is well written and quite interesting. It would be great if for example public health researchers could be inspired to consider blogging about their own research. The article takes its offset in a last December’s big news story about the first known microorganism on Earth capable of growing and reproducing by using arsenic (Wolfe-Simon et al, 2010) and the criticism of the article and research articulated on science blogs (Lead by Rosie Redfield from University of British Columbia, Canada). The article has great links to examples of science blogs. Most of them are within natural sciences (physics, chemistry, biology etc.) but they could serve as good inspiration also for bloggers working within other disciplines. There are also interesting perspectives on the science blog and blogger by e.g. Below a few quotes from the article by the above mentioned people, relating to what motivates the science blogger. Being true to the main focus of this blog on Public Health Sciences Communication 2.0 it is almost obligatory that I recommend this great and extensive literature review headlined “Public Health 2.0”. The comprehensive list of 109 articles has been put together by Dean Giustini and D. Westbrook from University of British Colombia in Canada and covers in the broadest sense articles on a large range of initiatives, research studies and phenomnoners of social media and other web2.0 elements directly applied to different areas of public health. If someone doubted that there was a connection between web2.0 and public health this should make them think otherwise. And no doubt this list is only the tip of the iceberg. The list includes articles focusing generally on web2.0 technologies and its influence on public health, but also articles with examples of the concrete use or role of different kinds of social media in public health. This includes for example articles on the use of Twitter in epidemiological studies of H1NI, the Analysis of the use of Facebook for seeking support on breast cancer and YouTube as Source of Prostate Cancer Information. 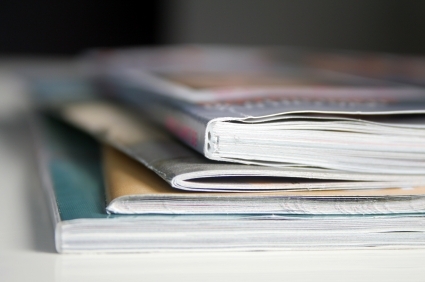 The majority of the articles are focused on the analysis of the content on different platforms, thus a focus on the population generated data as sources of information, but there are also a few articles looking at how social media can be used directly by researchers and policy makers to communicate health messages and on how social media can be used as a tool for researchers and policy makers in public health to communicate with each other. The number of articles on the later is however still limited. Dean Giustini, is a reference librarian at the Biomedical Branch Library of University of British Colombia and leads a Master’s-level course on Social Media in Health and Medicine which I have previously written about here on this blog. For a smaller and more digestible list of articles about social media and public health Youth Health 2.0 have put together a list of 9 cool public health and social media articles. Inspired by comments to my post about #hcsm, #hcsmeu etc, I have now updated the list with new regional twitter hashtags from Australia & New Zealand, Latin America, Asia and some country specific from Europe. In addition, there is also a #hcsmglobal. You can see the complete and updated list in the previous post. Also it is possible through iTunes to download apps for some of the #hcsm. Eg. find the app for hcsmglobal here and the hcsmanz here. Since the list is now quite long I thought I’d just share again what benefits there can be in following and contributing these hashtags. Why use #hcsm, #hcsmeu or #hcsmca when you are on Twitter? Share and inform: Tell others about the great stuff you’ve read or are doing. Broadcast good stuff: Don’t be shy. If you’ve got something you want to get out there, leverage the #hcsm/#hcsmca/#hcsmeu communities and the get the word out about your new initiative, your latest blog post or an upcoming conference or event. Ask questions: Adding #hcsm/#hcsmca/#hcsmeu to your question lets you tap into the collective intelligence of a community that is further reaching than any single set of followers. I am trying to find the balance of which to follow and it is in the beginning a little time-consuming, but interesting indeed and a world one should be aware of. There are lots of people and insights to be found. A few months ago, the meaning of this: #hcsm, #hcsmeu of #hcsmca would have been the greatest mystery to me. I now know of course that they are hashtags(#) for Twitter discussions on topics under the umbrella of health care and social media. The concept is similar to that of the Twitter Journal Clubs. Once a week at a given time a discussion on an before hand agreed topic takes place. All who are interested are welcome to participate. All they have to do is be online, have a Twitter account and through tweets equiped with the appropriate hashtag share their views, opionons, articles etc. These kinds of discussions exits on a million topics I am sure. In this blog, I will write about a few of the most likely many health related Twitter discussions. #hcsm is as mentioned above a discussion forum for health care and social media. it is focused on a global conversation, but there are several subgroups each focused on for example a specific geographical area such as Europe: #hcsmeu, Latin America: #hcsmla, Canada: #hcsmca and more. I admit, that I have not yet been an active contributor to the scheduled discussions, but do enjoy the amazing thing about Twitter discussion: the open format and that everyone can follow it, also after it has taken place. In order to get myself a better overview of the #hcsm’s I have come across until now I thought I’d just list them here. Mostly as a help to myself, but perhaps it would also be useful to others too. Therefore the blog format. #hcsm has a website/blog and Twitter hashtag. #hcsmeu is a community of EU healthcare blogger, twitterers and social media users. They describe themselves as a space for all healthcare enthusiasts to meet and converse, to post and share events, projects and initiatives within social media healthcare.The main focus is patient centered. The mission is to help drive forward the adaptation of social media can improve quality, access, value and effectiveness of health care delivery to patients. The hope is to increase the empowerment of patients in health prevention and disease recovery. #hcsmeu convene at noon UK time / 1pm central European time every Friday for a Twitter discussion of health care and social media. #hcsmeu has a website/blog, a Twitter hashtag, are on Facebook and LinkedIn. I thought I’d also just list #hcsmca, since Canadian Universities seem to be very much one of the frontrunners in linking public health and social media. Health Care Social Media Canada a was inspired by the success of #hcsm and #hcsmeu. Like the bigger #hcsm, Healthcare Social Media Canada also hosts a weekly tweet chat which takes place on Wednesdays at 1pm EST. Again, the focus is primarily on the patient and relation between patient and health care provider. Transcripts of past chats in can be found in a Transcripts Collection where the content of is searchable. The #hcsmca also has monthly meetups across Canada where the participants can meet in person. #hcsmca have website/blog and can be found on Facebook and LinkedIn. 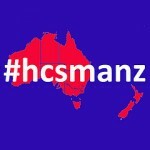 #hcsmanz is Australia and New Zealand’s version of #hcsm discussion groups. It is of course primarily aimed at interested professionals working with health related issues in Australia and New Zealand. The concept is the same with a weekly discussion on Twitter using the hashtag #hcsmanz. The discussion takes place every Sunday evening on Twitter at 22:00NZ, 20:00AEDT, 19:00AEST, 19:30ACDT, 17:00AWST. Transcripts from the discussion are available here. See the below comment to this blog post to read more about the #hcsmanz’s discussions and the main areas of focus which is influenced by the large distances and geographically layout of e.g. Australia, why rural health and equity is a common theme for the discussions. #hcsmanz can be found on Facebook and there is a The #hcsmanz Daily collecting the relevant links shared via the hashtag. #hcsmla covers Latin America and is naturally a discussion conducted in Spanish mainly. 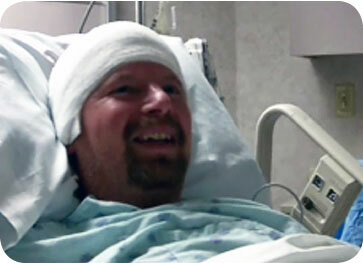 It started with a beta version in November 2010 and is therefore approaching its one year anniversary. As my Spanish skills are still not strong enough to read and follow discussions I encourage you to visit www.hcsmla.com. The concept is the same with a weekly discussion on Twitter using the hashtag #hcsmla. The discussions take place every Tuesday evening (for the specific time check the website). Transcripts from the discussion are available from there website. #hcsmla can be found on Facebook and on their website/blog. Also Asia have their geographic twitter discussion on health care and social media under the #hcsmasia. It is used for people interested in following news, blogs, and tweets regarding healthcare information in Asia and the use of the internet and Social Media. The concept is the same with a weekly discussion on Twitter using the hashtag #hcsmasia. 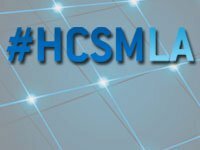 #hcsmasia has a monthly twitter chat every first Tuesday of the month at 9 pm JPT. Based on a quick view tt does not seem to be as actively used as many of the other #hcsms, but is also one of the most recent having been establish in February 2011. #hcsmasia can be found on Facebook and on their website. In addition to regional hcsms there is a discussion group that calls itself #hcsmglobal. They tweet under the hashtag #hcsmglobal and aim to bring together people from different chapters health care social media discussions happening to discuss once a month. Unfortunately I haven’t been able to find out exactly when these monthly discussions take place, so follow the hashtag. 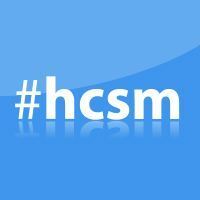 #hcsmglobal can be found on Facebook, their website and there is a The #hcsmglobal Daily collecting the relevant links shared via the hashtag. A brand new hcsm in Europe had its first pilot chat this month. #hcsmse from Sweden is know facilitating discussions in Swedish on Fridays from 12-1pm. A transcript from the first #hcsmse discussion is available online. Also a Wikimap of the discussion can be found. The first discussion was in Swedish (and Danish), and the questions up for discussion are posed in Swedish. Comments in English are however also welcomed by the moderators. So don’t hold back in joining the discussion. 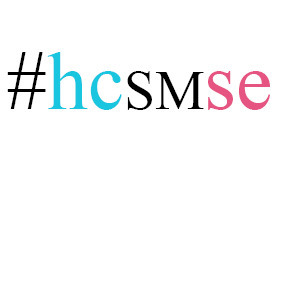 @hcsmse do not yet have a facebook presence or seperate website, but news about it is posted on www.stockholm-life.se. There are lots and lots of other hashtags, discussion forums out there. It is really quite a jungle. For me it is a little bit trial and error to find out which ones are relevant for me to follow. #hitsm (Health IT Social Media) is for example sometimes interesting to follow, but also quite heavily IT focused. I have earlier blogged about the Twitter Journal Clubs which are also examples of Twitter forums for discussions of public health related issues in a virtual discussion group. As mentioned earlier, LinkedIn also have many groups for linking and raising discussions on public health issues. The possibilities are enormous, so I guess it is mostly a question of trying it out and find out which groups suits one’s needs. My general practitioner might just have visitied Wikipedia when he did a Google search on some health topic he came across and needed more information on. A surprise? Well, no not really. I myself use it both outside my professional life and in my public health research life, so why shouldn’t my doctor. However, it is my sense that Wikipedia is still not something researcher talk about when they discuss how they search for information or how they share their own knowledge. Last week I blogged about Wikipedia trainings at McMaster University in Canada and I seem to have not been able to let go of the topic of Wikipedia. Not having looked that carefully on the relevance of Wikipedia to public health before it wasn’t until now that I came by this article on how Wikipedia can be A Key Tool for Global Public Health Promotion. The article is published in the latest 2011 volume of Journal of Medical Internet Research (JMIR), a peer-reviewed transdisciplinary journal on health and health care in the Internet age. The authors , Dr James Heilman et al., are all members of the Wiki Project Medicine and therefore naturally advocates of developing Wikipedia in the field of the health. Part of the aim of the authors is to get the medical (and this would include the public health community I assume) to see the necessity but also benefits in participating in developing and quality ensuring the medical articles on Wikipedia. They do this by discussing the intricacies, strengths, and weaknesses of Wikipedia’s health related entries. The listing of weaknesses and limitations of the online encyclopedia are very useful as they provide important background knowledge to be aware of both when using and contributing to Wikipedia. It may be personally satisfying to provide an important educational service for individuals looking for health information, and to see articles grow that one created or improved. While not having a high scientific impact, Wikipedia’s articles have a high social impact due to its broad readership. In the experience of the authors, a newly created article can often be found among the top Google results within a day, often outperforming review articles in highly regarded medical journals. Editing or adding information helps contributing students or professionals master the subject matter and learn more about the evidence underpinning it. Translating complex ideas into accessible concepts and language is an interesting intellectual challenge, which can help in everyday nontechnical communication with patients. Writing for Wikipedia teaches modern online communication. WikiProject Medicine offers participation and recognition in a Web-based international community. Reading the list, I couldn’t help thinking whether adding to this list a public health obligation to share knowledge on a media which so many people use. Using the argument that medical professionals by contributing to health related entries live up to a responsibility of providing patients and colleagues with the correct information. Perhaps it is taking it a little too far, but then again my guess is that it could be a motivating factor for many physicians and researchers. In addition, there could be a benefit for researchers in sharing findings, research projects and results with a broader group and thereby live up to the obligation of communicating science and promoting their own research. 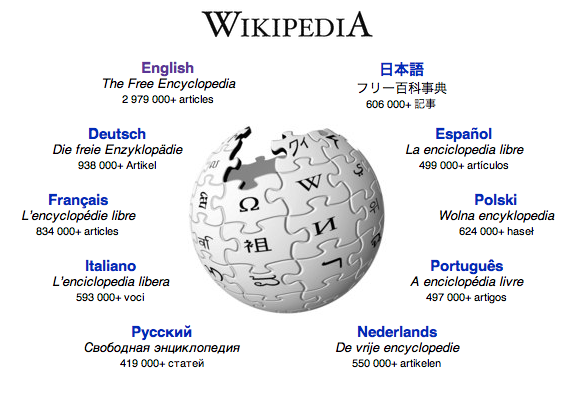 Having more people contribute to Wikipedia, however requires increased awareness and training in using it. The idea of familiarizing university students and staff through workshops as they have been doing at McMaster University is a relevant strategy. Perhaps it could even be taken a step further and included in mandatory classes on science communication.